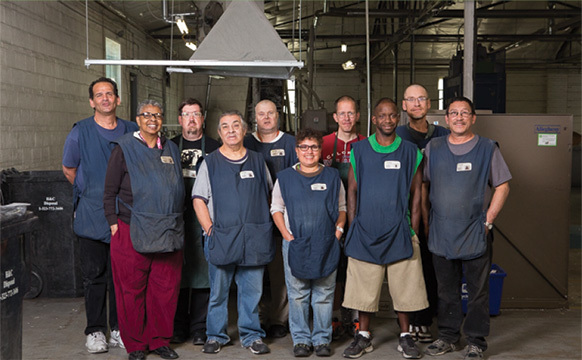 Since 1969, Bayaud has served thousands of people with mental, physical, emotional, and economic disabilities find employment and dignity through vocational evaluations, training, job coaching, and placements. 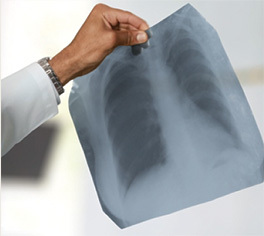 with Bayaud an average of 14 years. 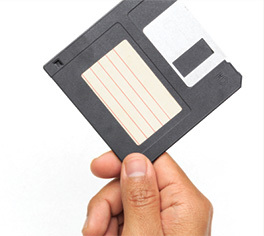 Their longevity is your assurance that your items are being handled by trained professionals who are proud of the work they do. 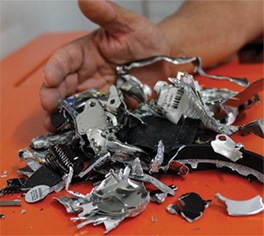 go to landfills last year. 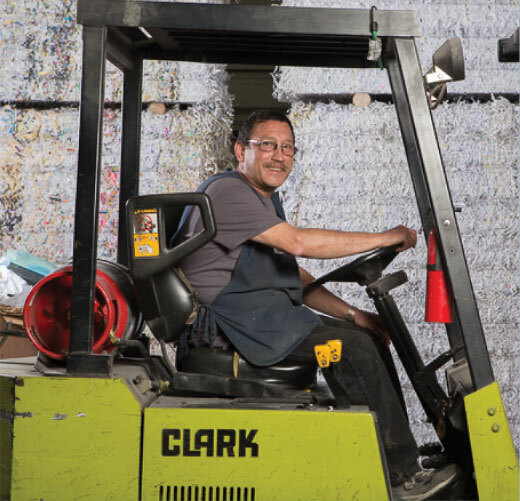 Bayaud shredded more than 4 million pounds of paper last year which were compacted into 1,200-pound bales and sent to recycling. 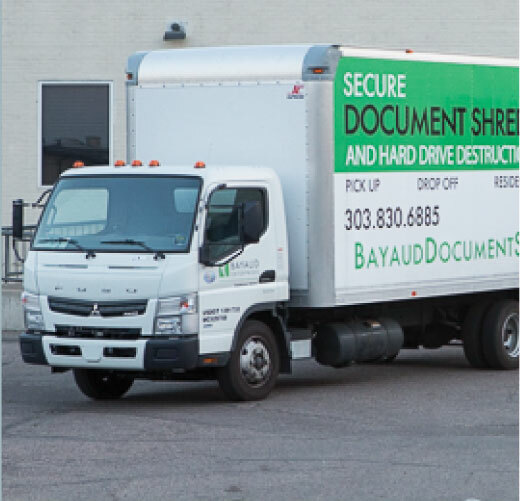 Bayaud provides top notch, AAA NAID Certified paper and hard drive shredding for the Greater Metro Denver homes and businesses at an affordable price. 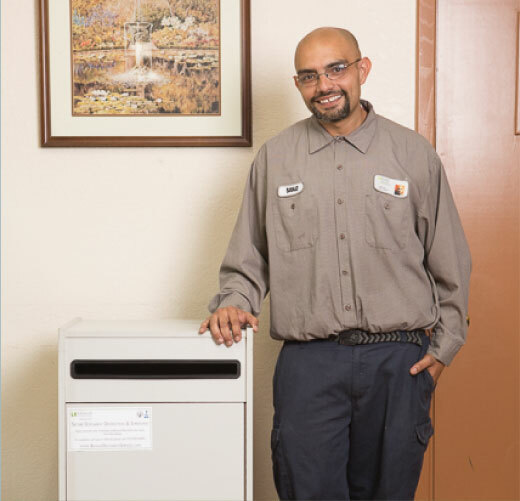 But unlike other document and hard drive destruction services, Bayaud is a local nonprofit that creates jobs for people with disabilities and other barriers to gainful employment. 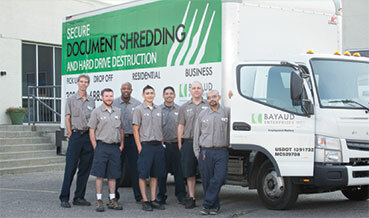 Our shredding services help fund Bayaud Enterprises, an organization that provides vocational programs that place people with physical, mental, emotional and economic barriers to employment, in private and government sector jobs. When you choose Bayaud, you help employ people that wouldn’t otherwise have the ability to secure gainful employment. You can also visit our nonprofit website at www.bayaudenterprises.org to see how we make our community a better place or click on our About Us page. Follow us on Facebook and Twitter for updates on our work in the community. See what other services we provide in the community https://www.youtube.com/watch?v=msJMiUvI0iw. 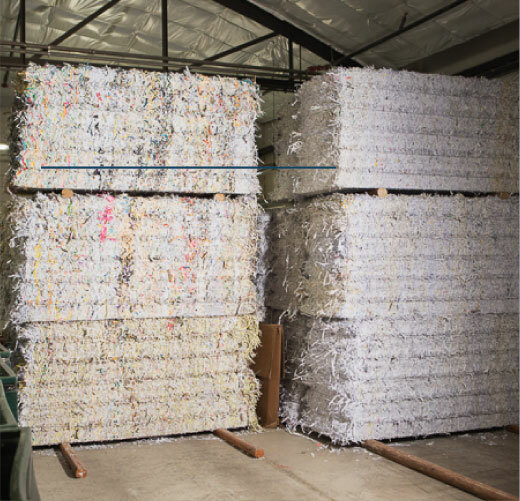 See an interview with Bayaud's Vice President of Shredding on the PBS show, Devil's Advocate with Jon Caldara, which aired in September of 2015. Bayaud Enterprises is a 501(c) 3 Nonprofit agency and all DONATIONS are eligible for tax deductions. 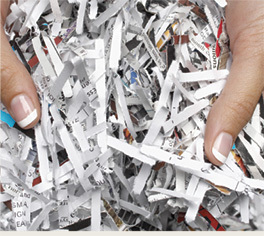 You can find specific pricing information about all of our shredding services on our pricing page.